The guys in our Production Department have a reputation for the unusual. Yes, even compared to the REST of us. From drawing contests to the milk challenge to a Jones Soda Thanksgiving Dinner Tasting (I love the normal Jones Soda flavors, but "Pumpkin Pie"? "Turkey Gravy"? Ugh! ), they are the office court jesters. 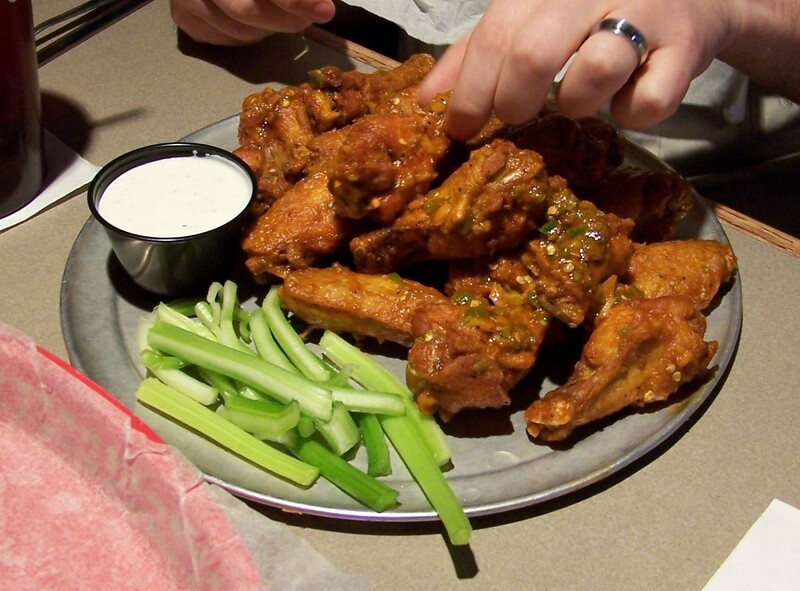 Last week, they took on a new challenge: 25 "Fire in the Hole" wings at a local eatery. Their wings are quite large, and they normally serve a wide variety of delicious flavors. For the challenge, however, the "flavor" is sort of a salsa of regular hot wing sauce, jalepenos, and red pepper. Ben decided discretion was the better part of valor, and bowed out after 17 wings. Both Justin and Alex finished all 25, in varying amounts of pain, thereby earning the grand reward: their photo on the wall of the restaurant. Also an incredibly bloated feeling all afternoon, and bathroom adventures best not described.